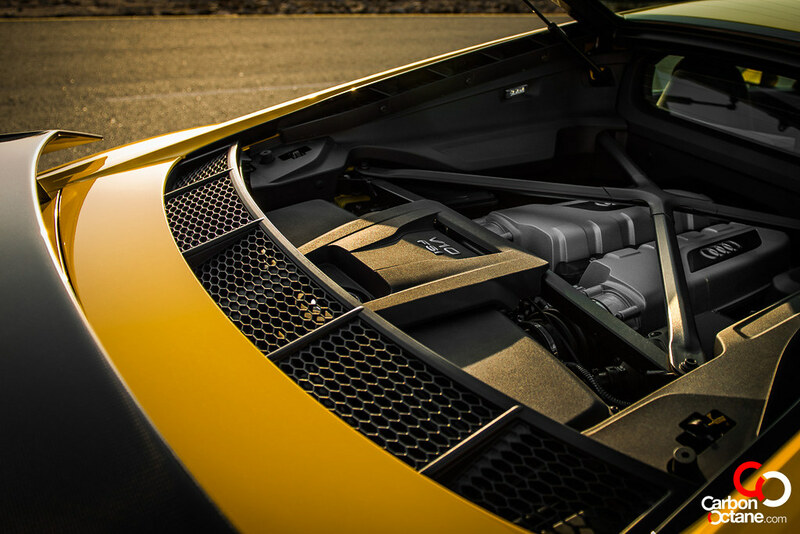 A petrol-heads’ dream is to be forever embed themselves around the wail of a naturally aspirated engine, screaming with gusto at high rpms. 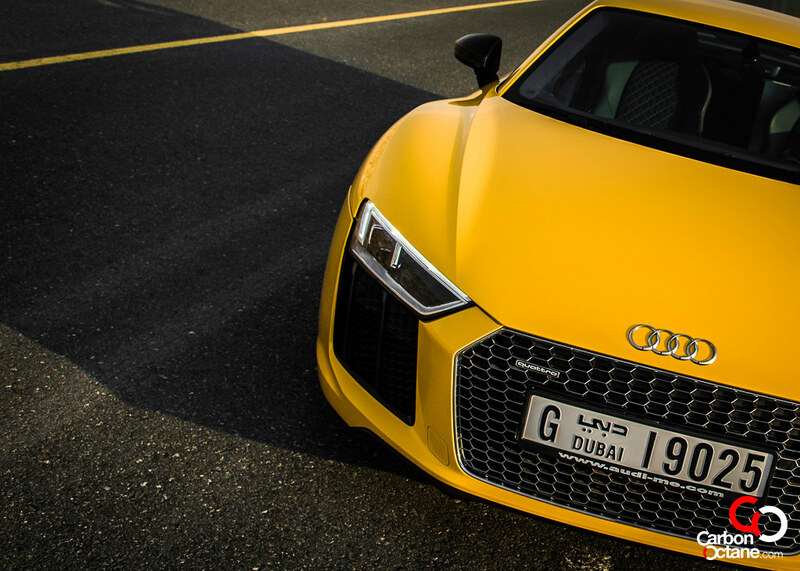 The All New Audi R8 V10 Plus obliges us just that and more. 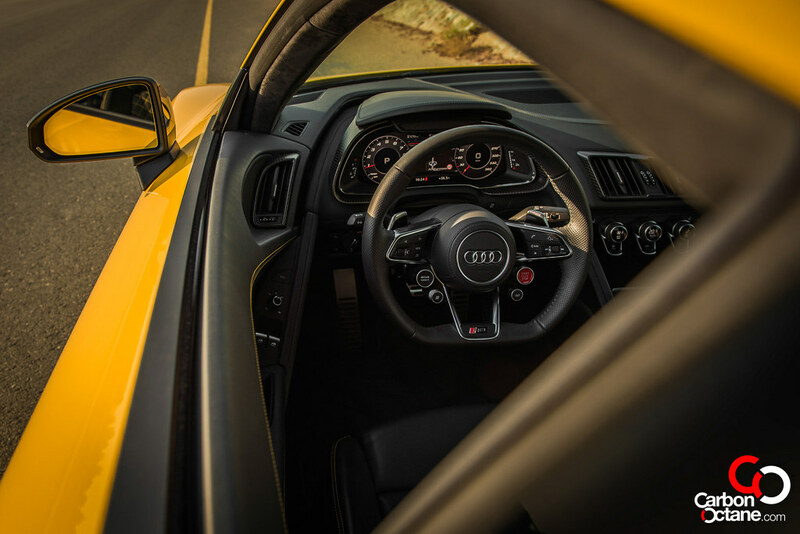 At a red line of 8700 rpm, the 2017 Audi R8 V10 Plus screams with an intentional grunt that would make us wet our pants and pray that we can hang while the scenery through the front glass seems to blur out in a liquid mesh. 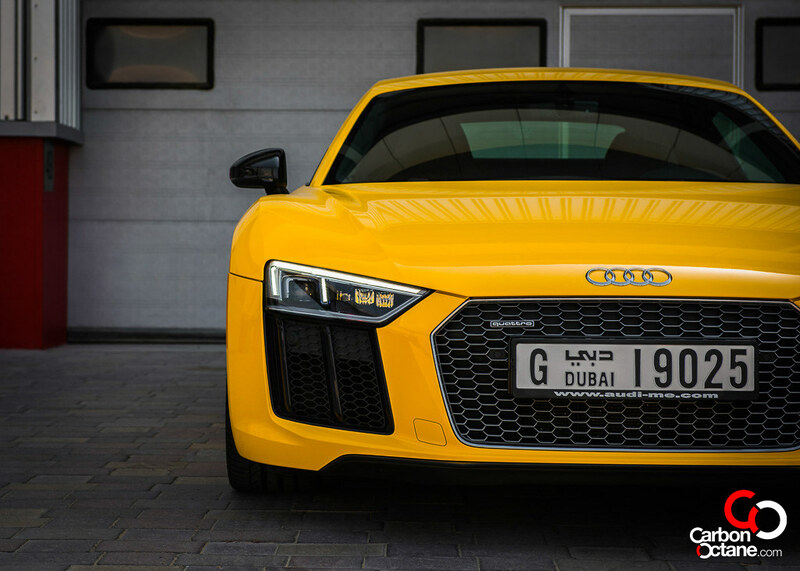 At first look, the new R8 V10 Plus is distinguishably an Audi. 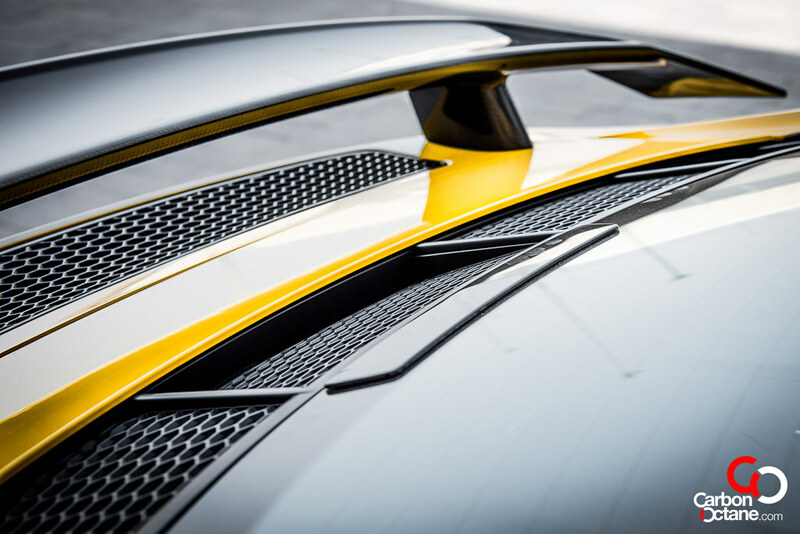 The rounder silhouette of the previous gens have now been contoured and molded into sharp features. 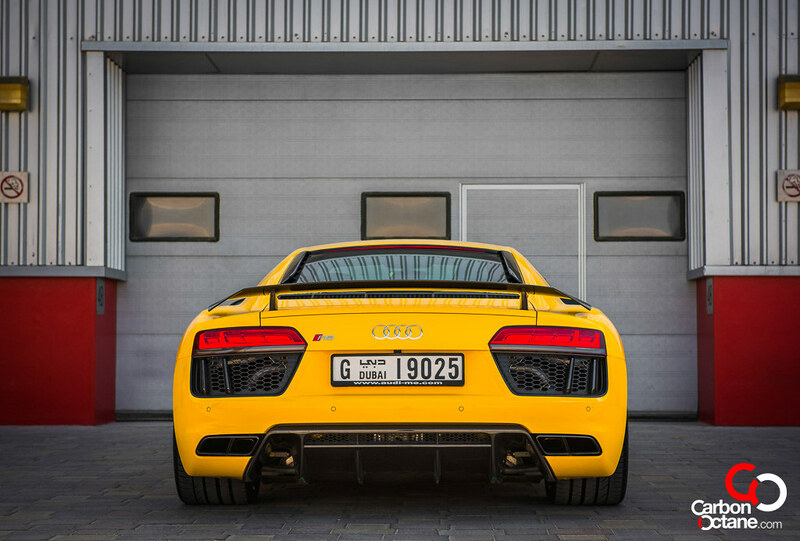 A sharper front end with chiseled headlights and huge front air ducts and a wide tail with trapezoidal twin tail pipes topped with a carbon fiber spoiler that differentiates the 610hp V10 Plus from its sibling, the R10 V10. 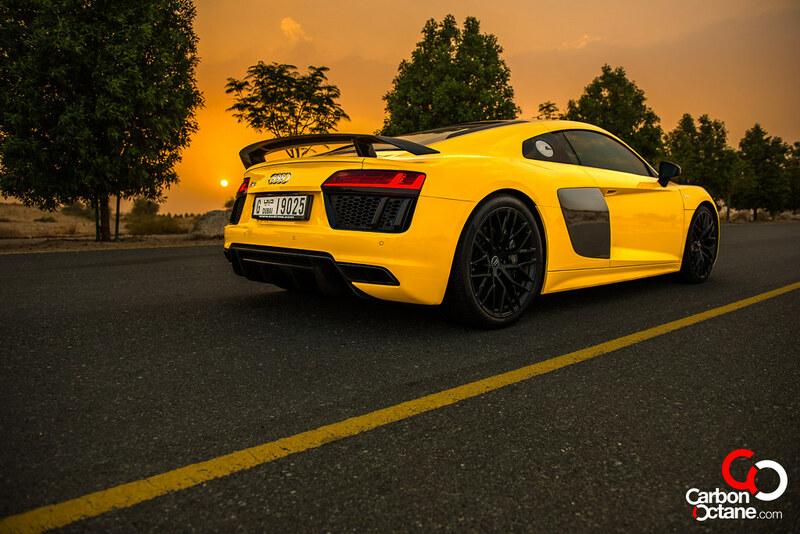 The Plus adds 70 horses to that of the regular R8 V10 and that’s what we got as our tester. 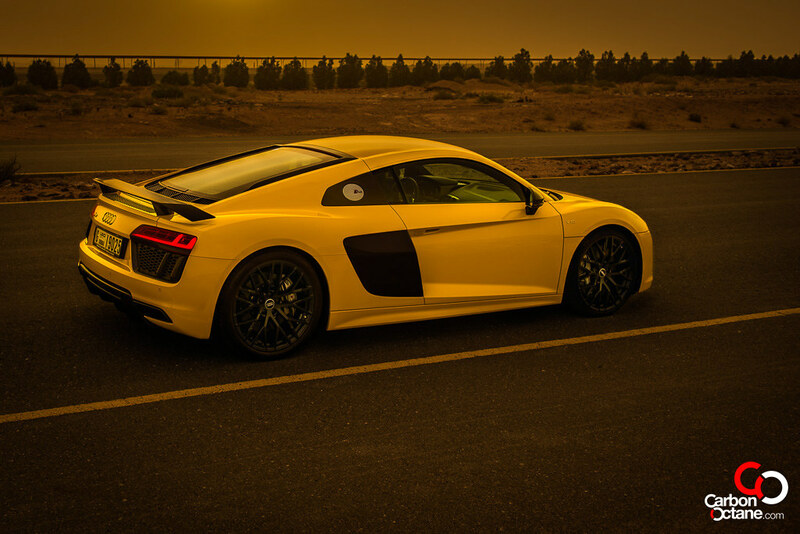 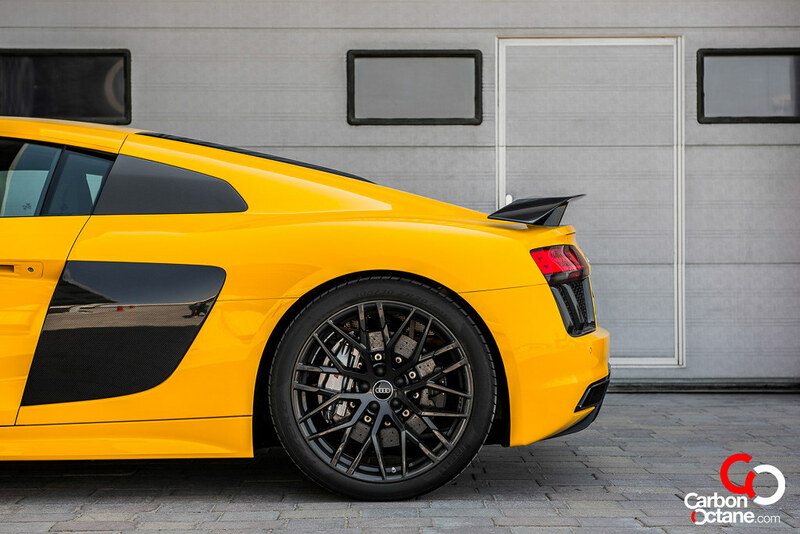 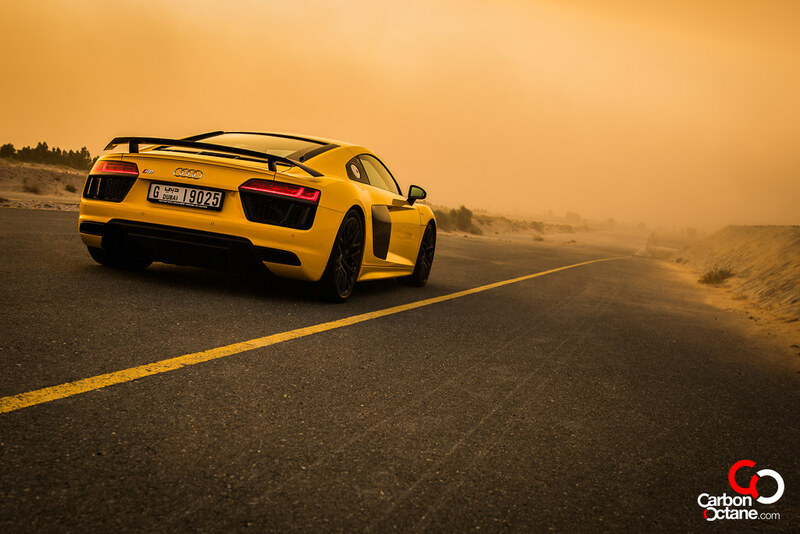 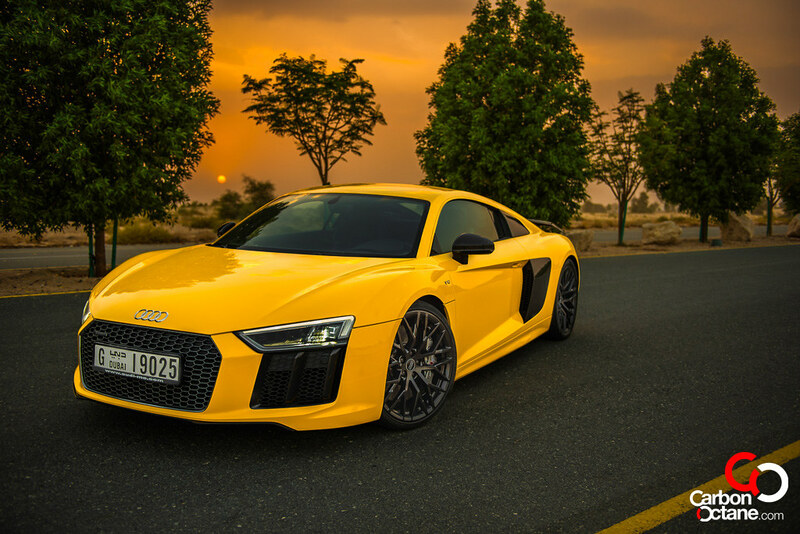 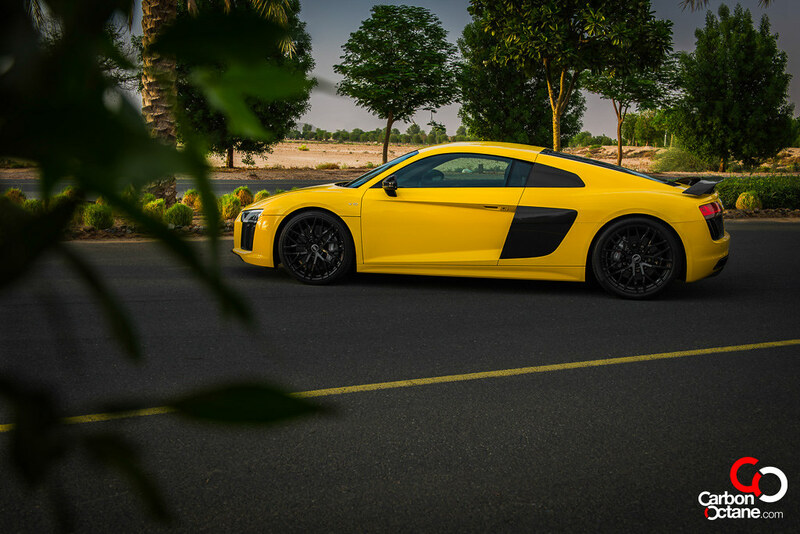 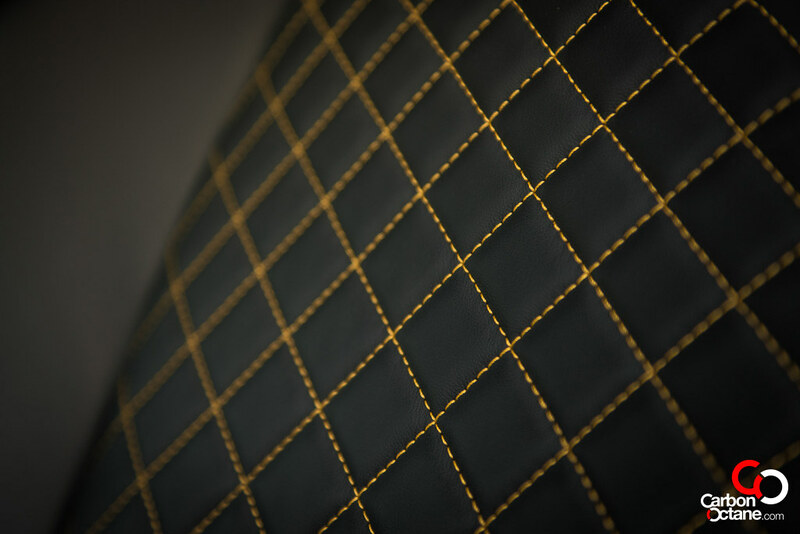 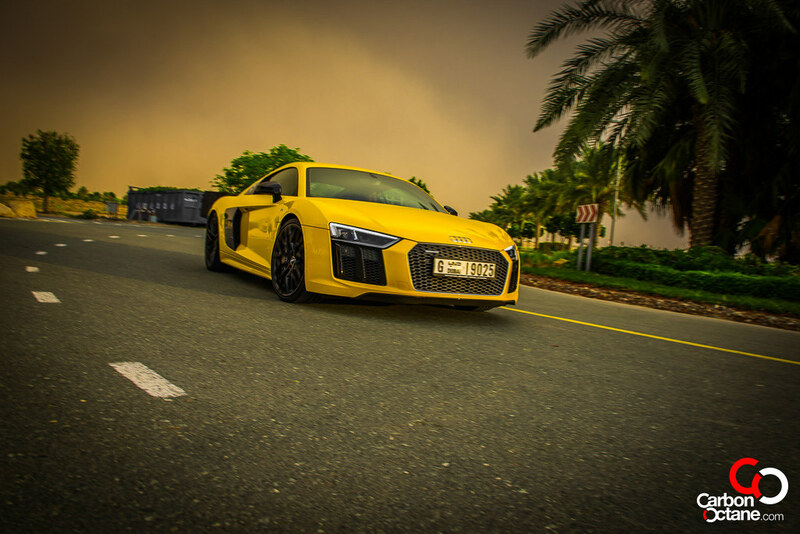 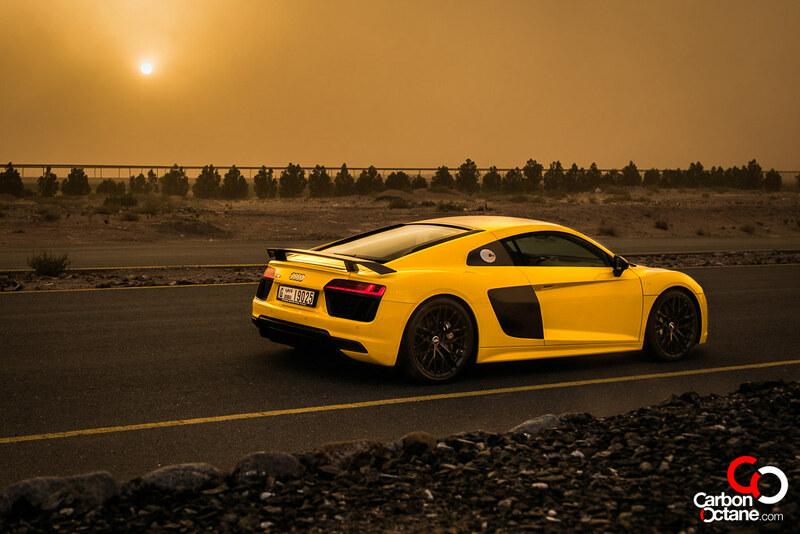 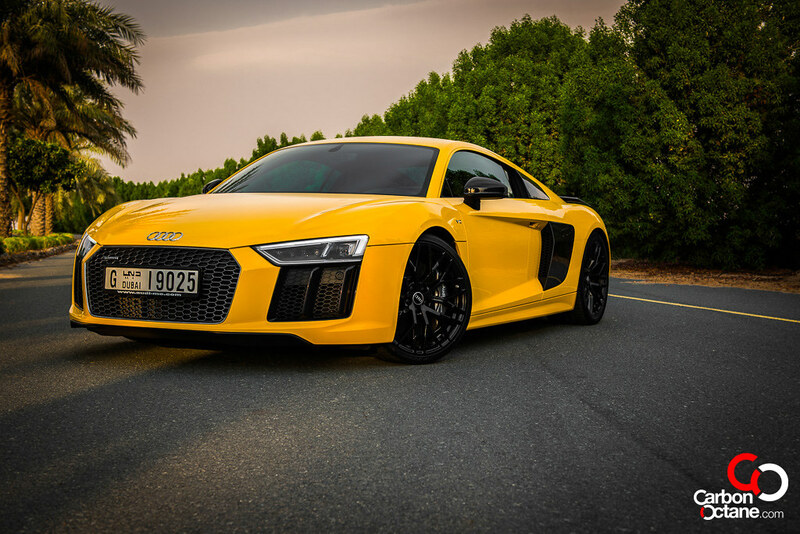 A bright yellow, all trims in black Audi R8 V10 Plus. 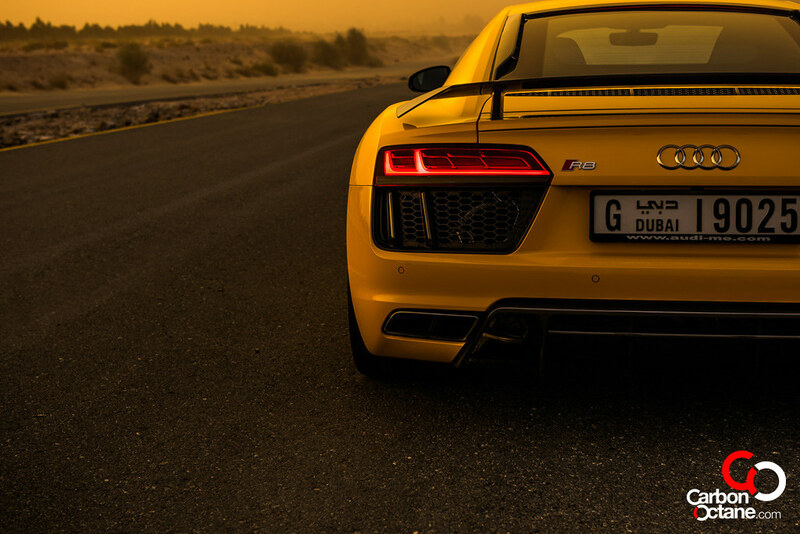 It’s time to tango. 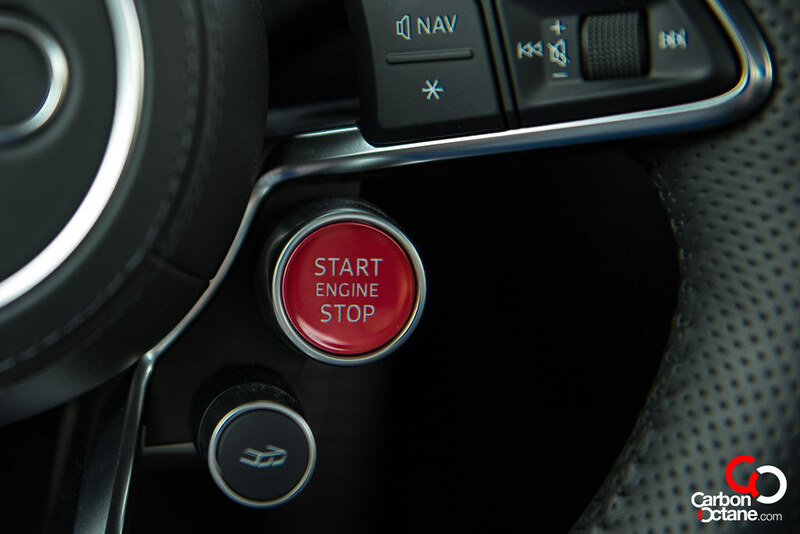 Our warm up to the dance starts off with the press of the red Start/Stop button which emits a sharp whail as the rpm raises to 2500rpm before settling down to idle, it’s a subtle but effective way of drawing attention to the R8. 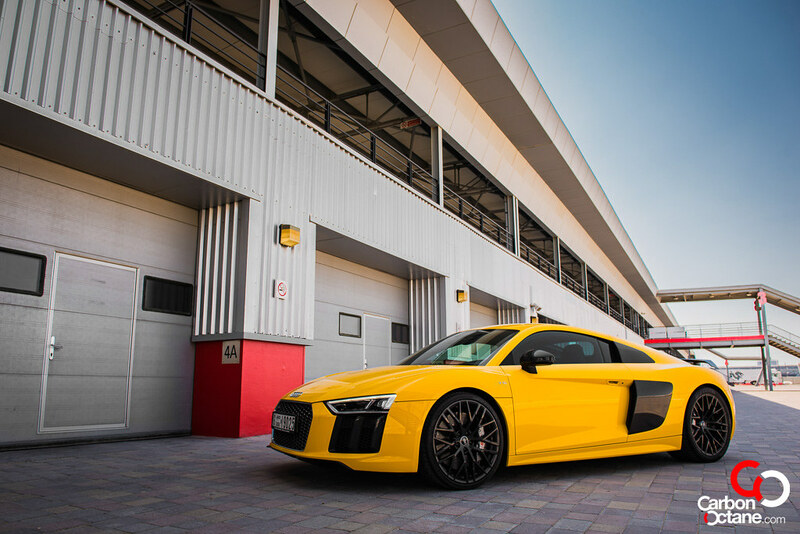 Yes, the R8 V10 Plus might not have the same enigmatic stance and characteristic to that of McLaren’s 570s or the Huracan but as a sports-car which you can take to the track and to work and to the neighborhood grocery run, the R8 V10 Plus will blow you away in sheer performance and grin factor. 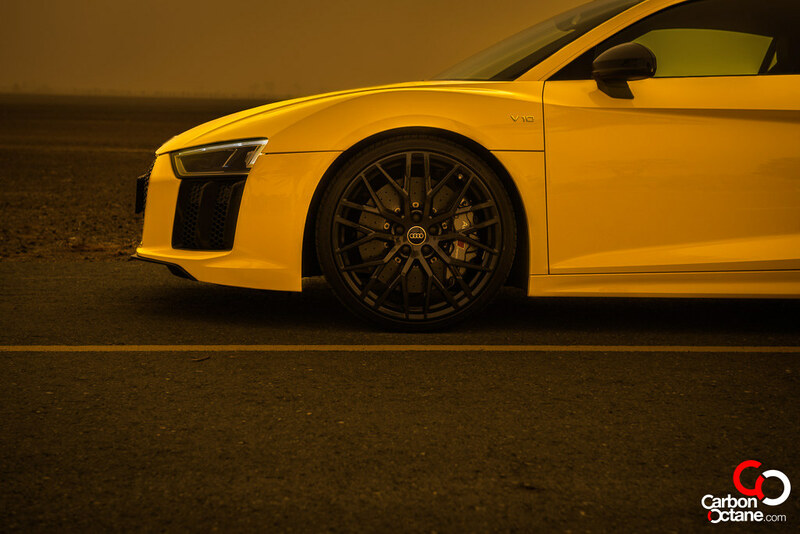 The new R8 is lighter, 40% more rigid which accounts for it extra crispy handling on any road conditions, and exponentially more desirable to the naked eye over the previous model. 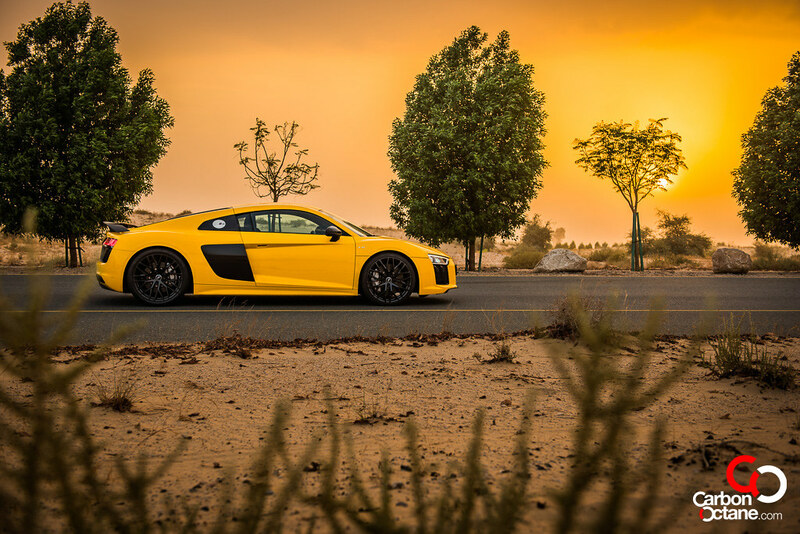 I can vouch for that, a trip to the local café drew a crowd to it, all seems to be looking at the new lines and some taking selfies in a bid to look cooler on social media. 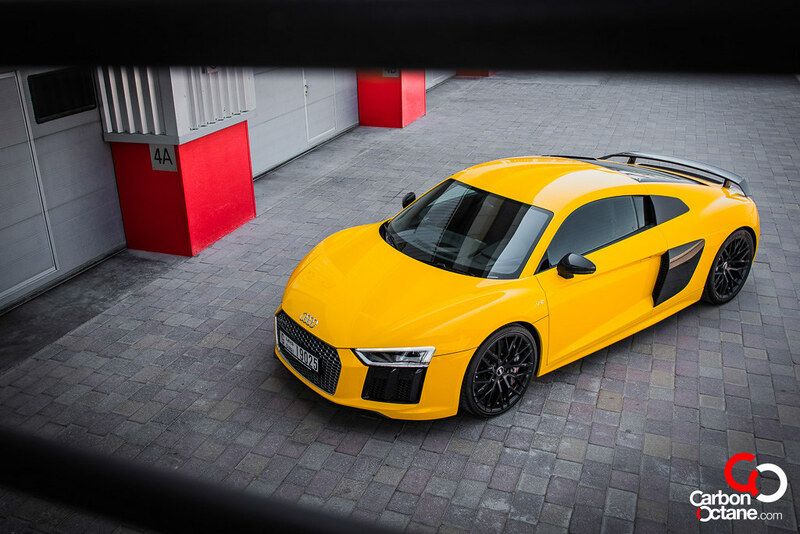 Cars such as these does make one cool, it’s one of the primary reasons people buy cars over their means, means whether it’s in the form of performance or price, we buy stuff to make us feel better. 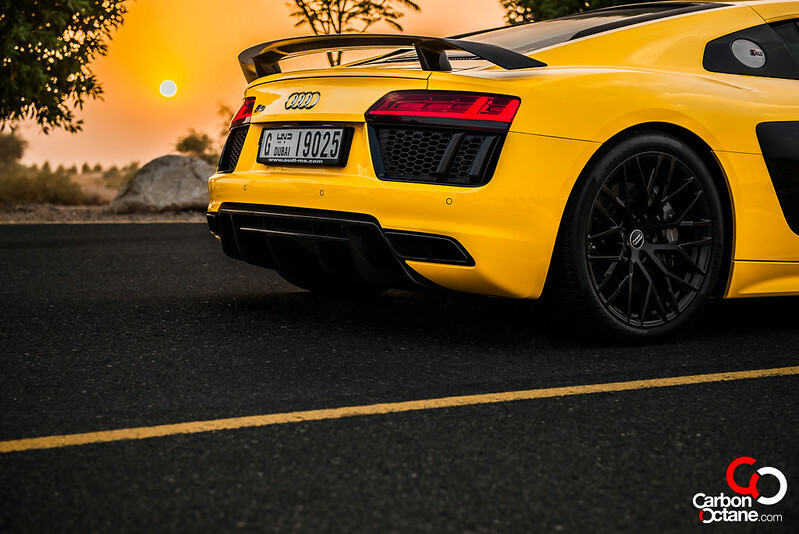 The R8 V10 Plus is such a mean, and it comes in “Extra Strength”. 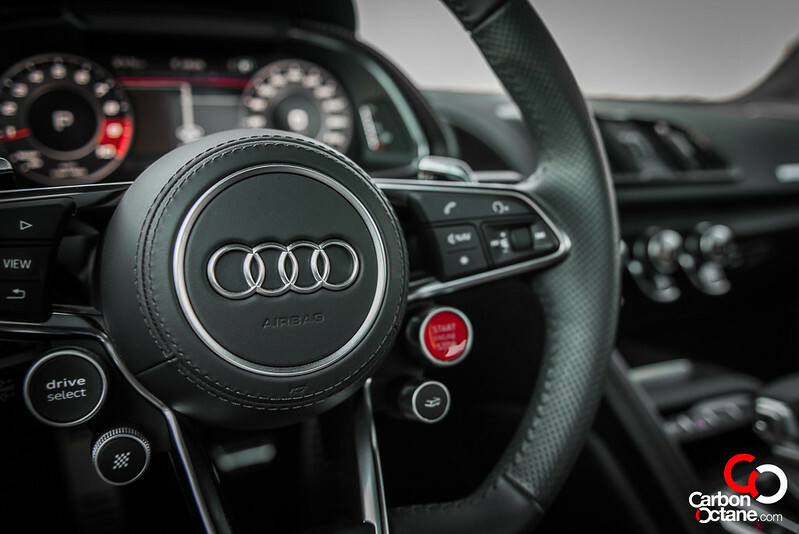 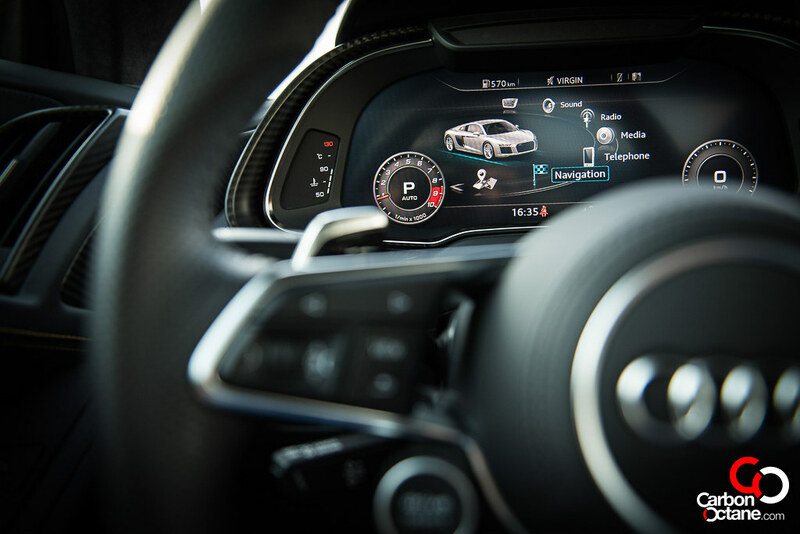 Once you are in the Virtual Cockpit, Audi’s new all-digital dashboard that shows a huge tachometer and any other information you would like to see including Google Maps, you get engrossed with the tech and craftsmanship of the cocoon that not only brings in an air of familiarity but also that of formidability. 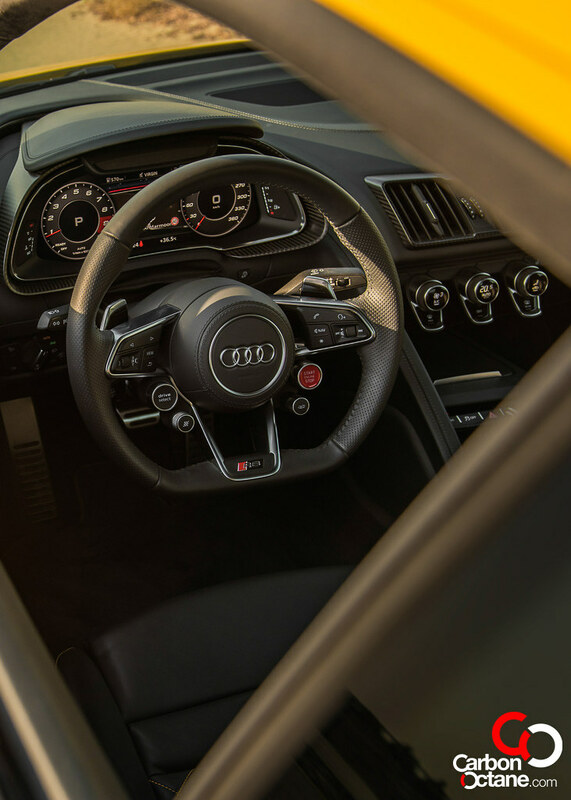 There are many new developments with this new version, but most significantly is the all-new 7 speed dual clutch gearbox which is able to hammer out quick shifts after quick shifts like a machine gun fire seamlessly. 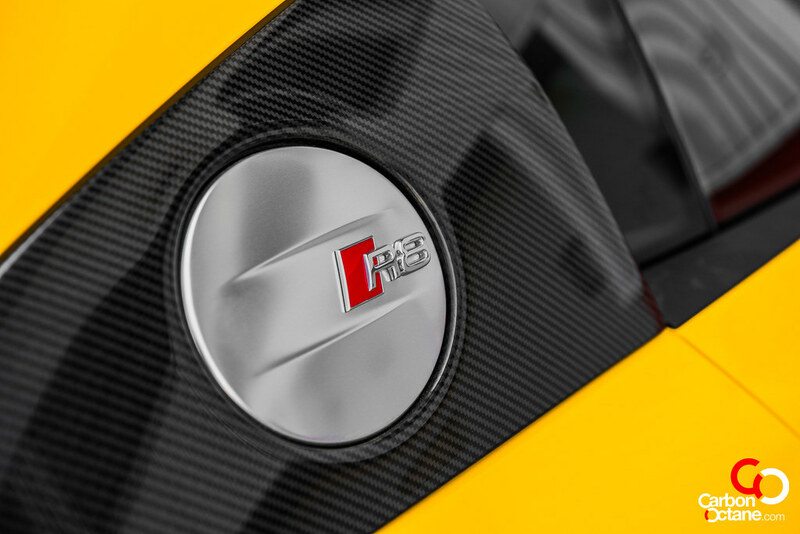 The engineers had to re-design a low profile gearbox to fit in this low slung setup of the R8. 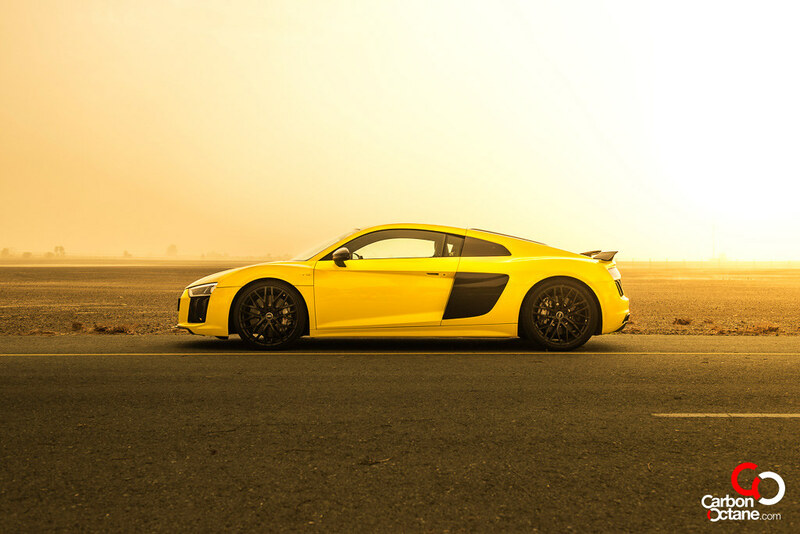 In the performance more the R8 V10 Plus takes less than 120 milliseconds to complete a gear chance. 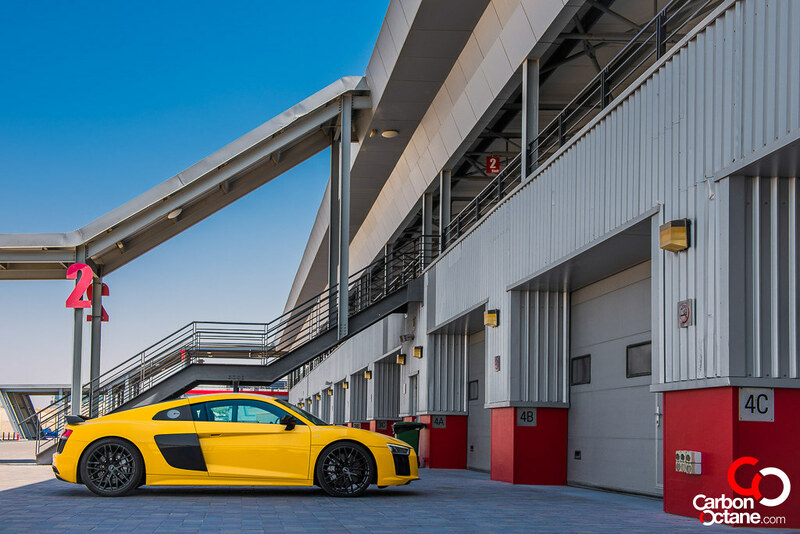 To give you all a perspective, the R8 V10 Plus shifts faster than the Lexus LFA and the Ferrari Enzo whose shift times are 200ms and 150ms respectively. 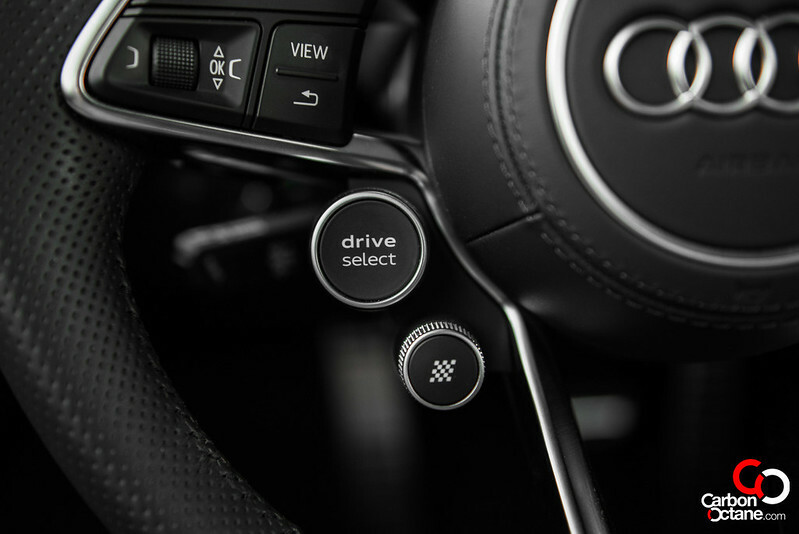 Audi has achieved a more intense and driver oriented driving experience and now you can adjust the level of Quattro torque bias by turning the knob from Dry – Wet – Snow. 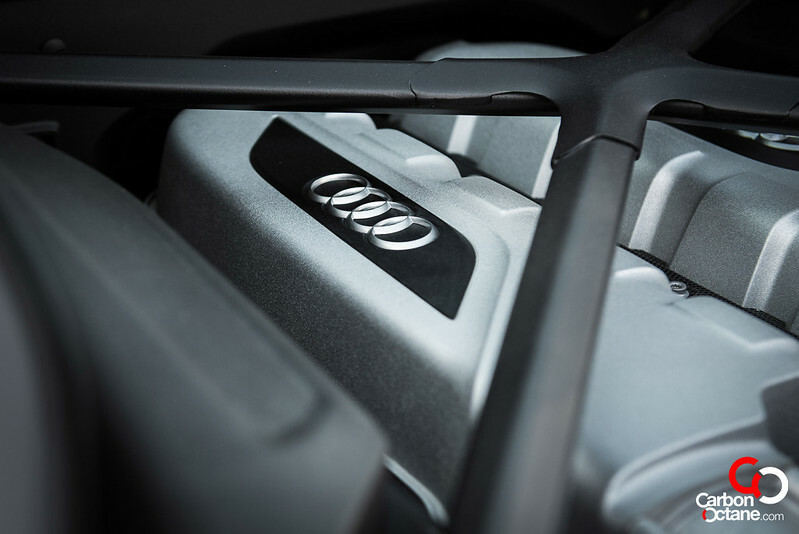 The Quattro system can now transfer 100% of the torque to either of the axels. 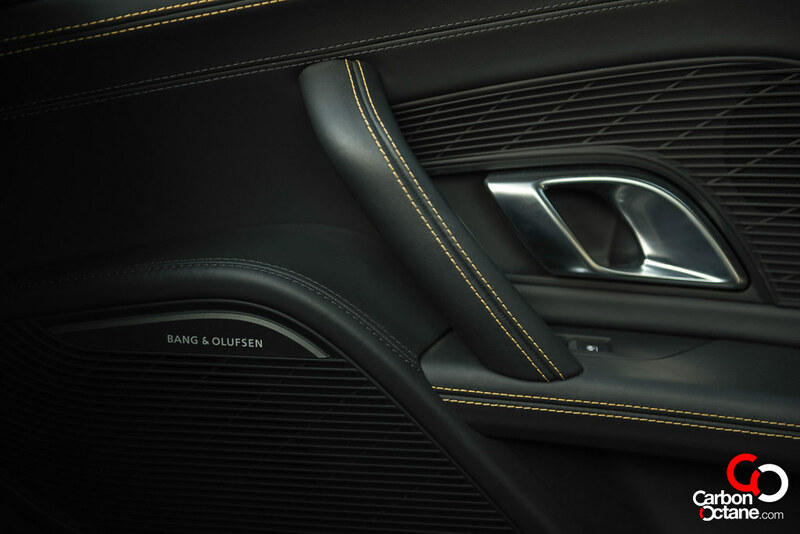 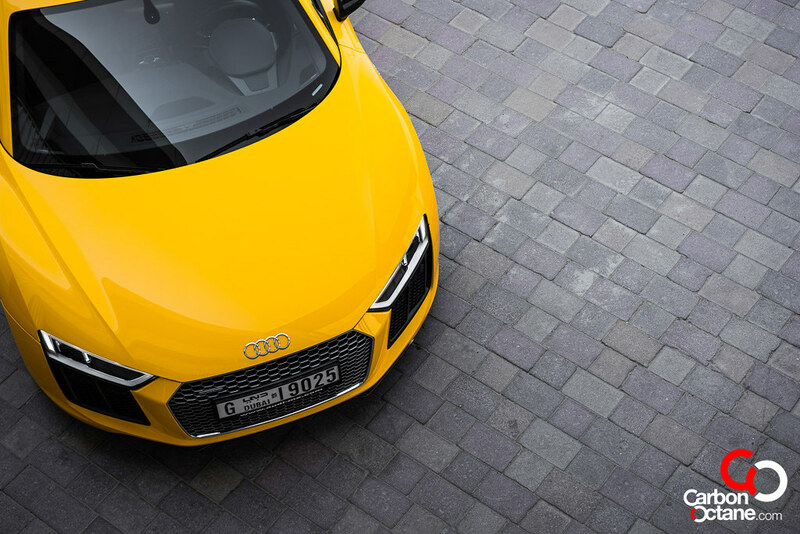 On normal city road, keeping everything on the comfort setting, the R8 is just like any other well behaved coupe. 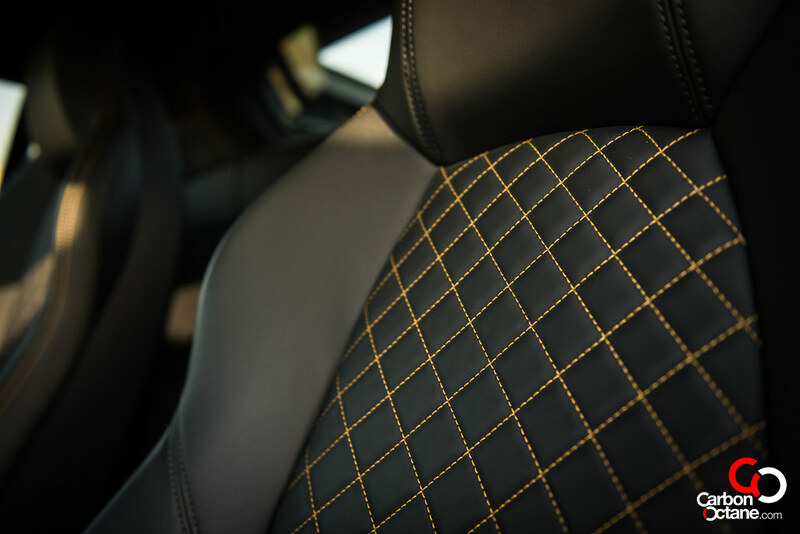 It does not hesitate while stuck in stop and go traffic, nor does it huff and cry over getting overheated, which it never did. 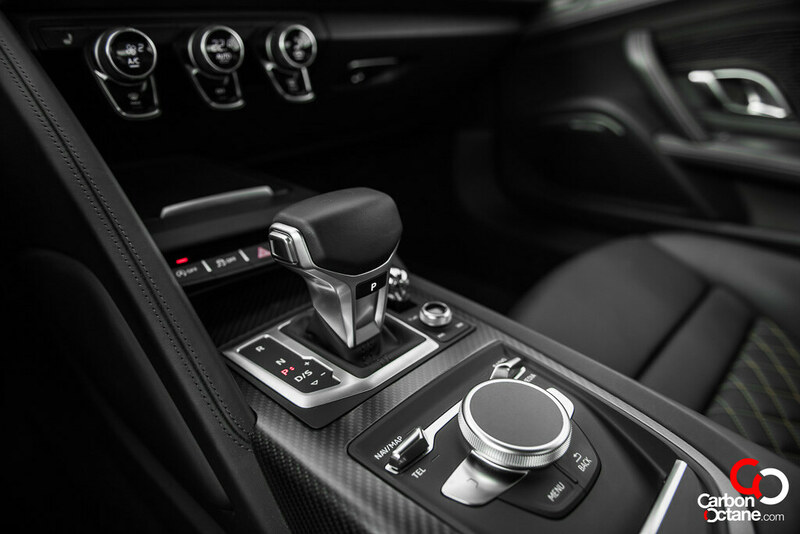 But it’s when you open her up and run through the gears, nudge the rpms to high 8k’s would you truly feel alive. 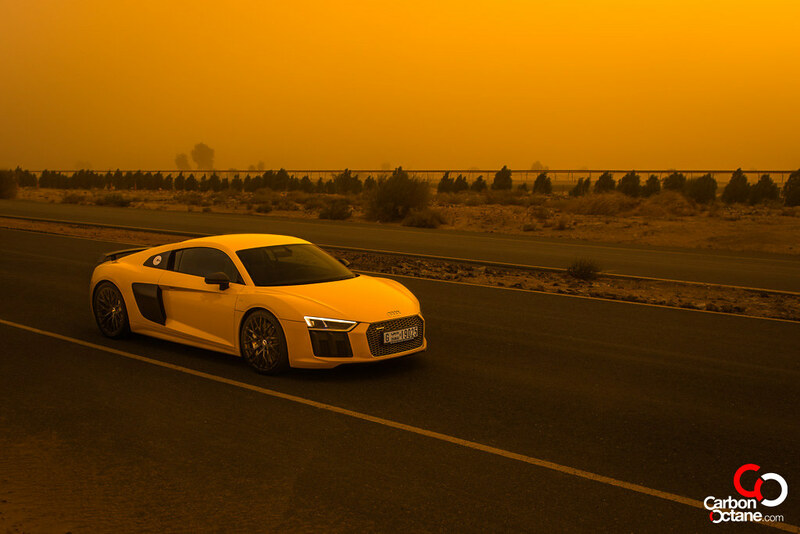 The car feels alive. 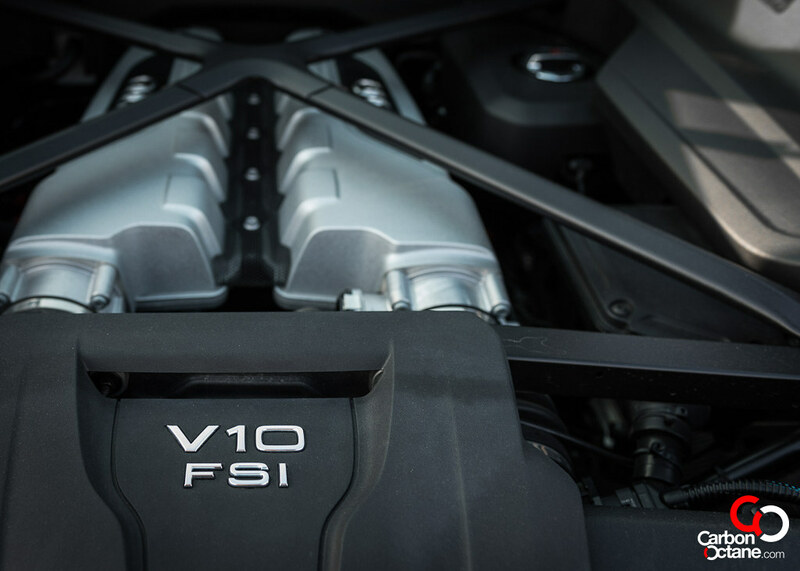 There’s beauty in the naturally aspirated V10 that brings back the emotions of that F1 used to be like before they went turbocharged. 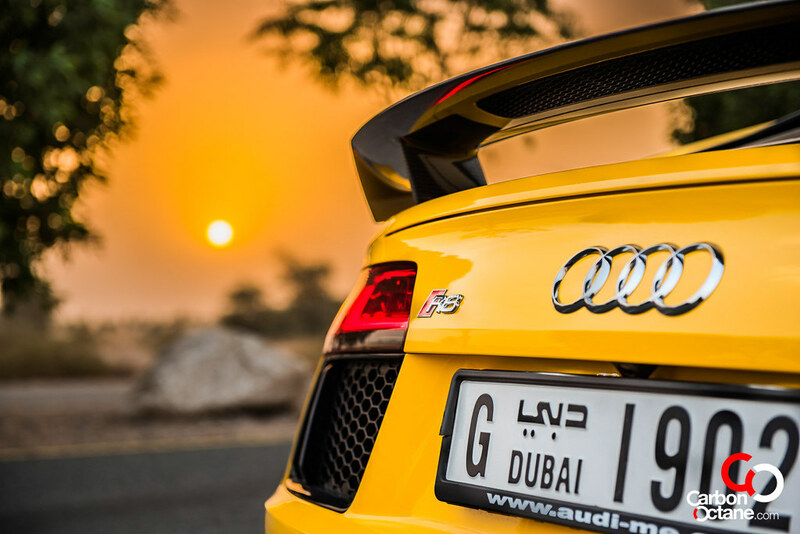 The sheer thrill and shriek from the exhausts is a catalyst to nirvana. 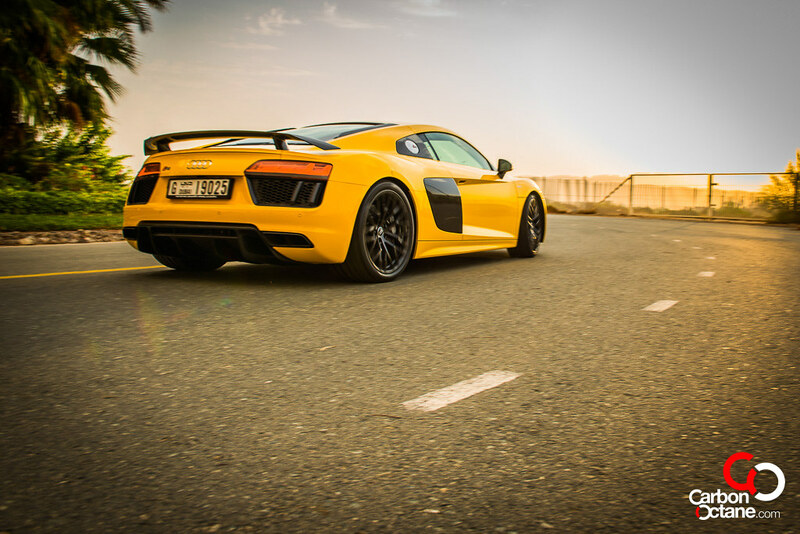 Experiencing the weekend blast at Jabel Jais’s wonderful windy roads, you get to experience the near endless mechanical grip provided by Audi’s Quattro system and the slingshot effect one gets out of an apex is sheer bliss. 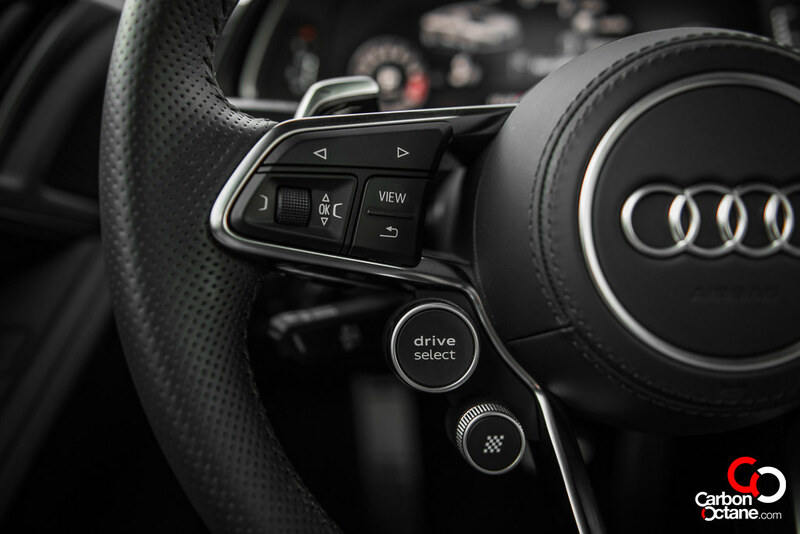 This is an all-out high rpm, fast gear shift, intoxicating down shifts, brake, turn and accelerate hard and repeat kinda machine for your everyday life. 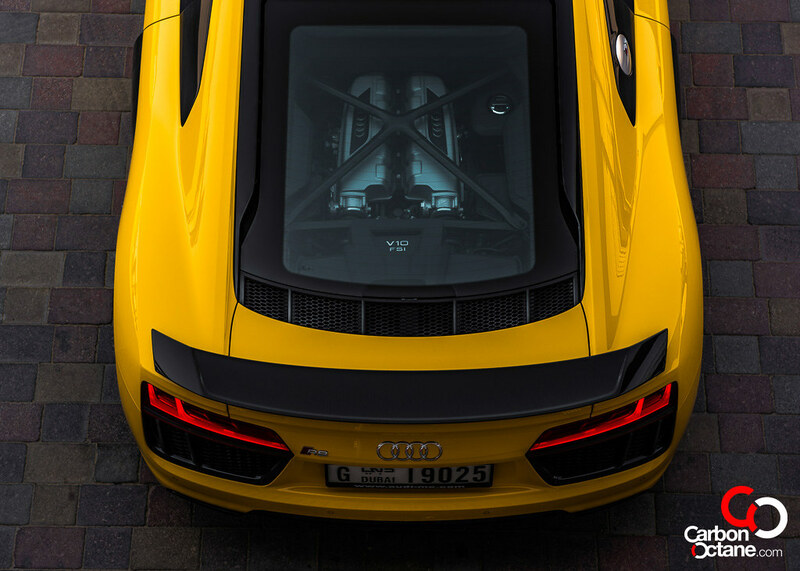 This is what a doctor would prescribe for a healthy heart and not those gluten free mumbo jumbo that you get to hear about now a days. 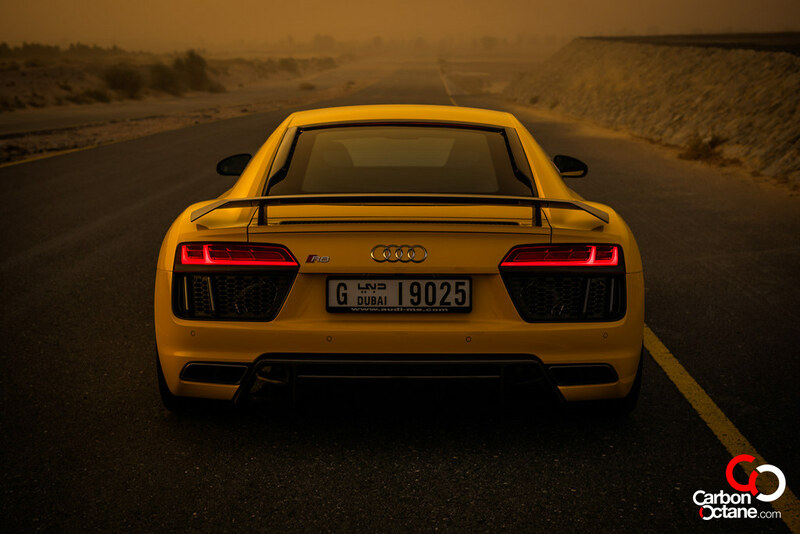 What make the R8 V10 Plus great? 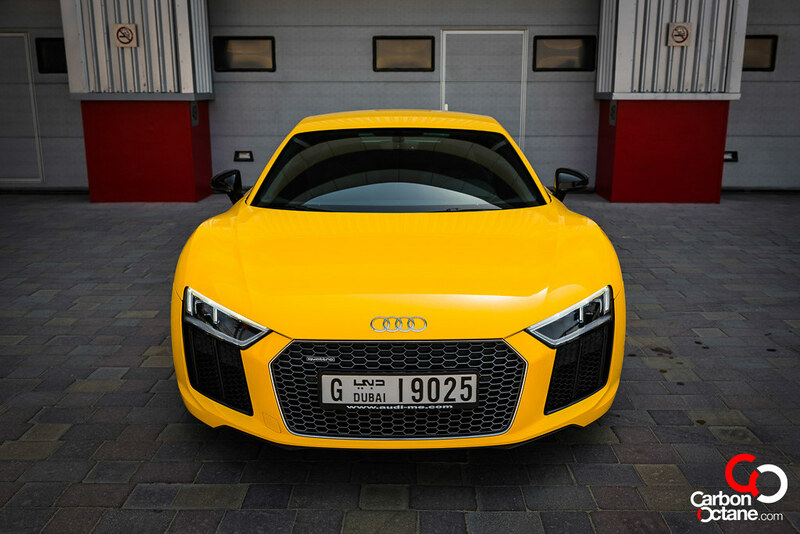 It’s that it does not try hard to look the part. 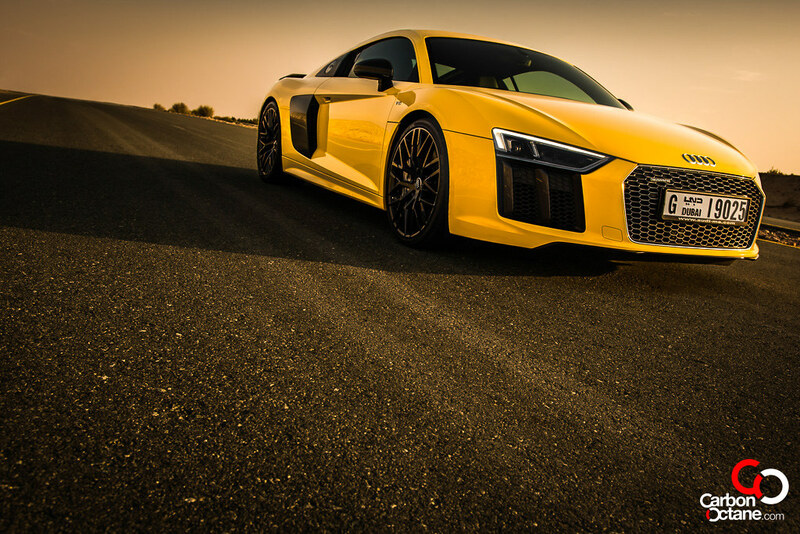 If you want supercar experience without attracting the whole neighborhood then this is the car of choice. 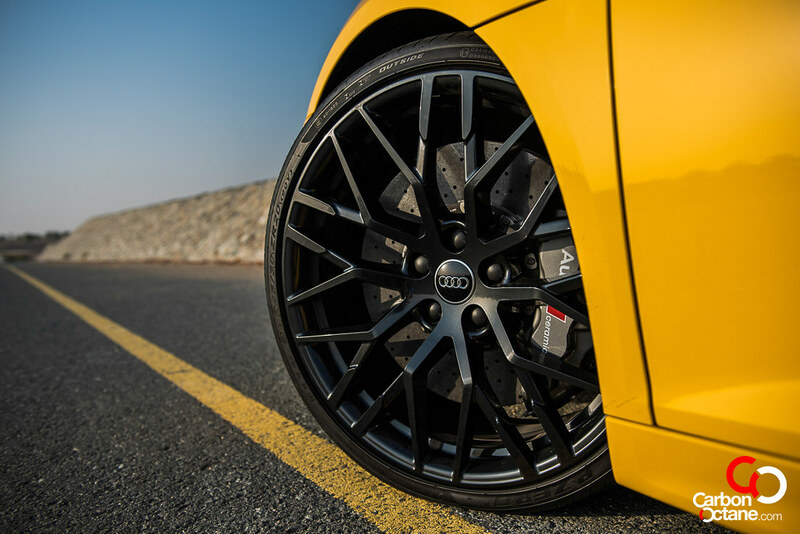 Trust us, when we say, true petrol-heads would sure give you a nod on a great purchase, and that’s the kind of people we want to attract.